See below for this book’s description. 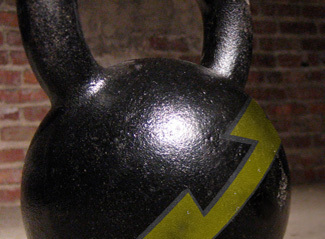 Jeff Martone’s Kettlebell WODbook is designed to expose athletes to a wide variety of WODs (Workout of the Day) that will unleash the full potential of both the kettlebell and the athletic performance. Best-selling resource of profound quotes highlighting Amercia’s noble heritage. Nearly .250,000 in print! Contains quotes form Presidents, Statesment, Acts of Congress, Supreme Court Decisions, State Constitutions, Colonial Charters, Scientists, Explorers, Pioneers, Business leaders, Military leaders, African-American leaders, Women leaders…Topics include character, virtue, law, freedom, faith, courage, liberty, Providence, God, government, etc. Easy to use, alphabetically arranged, fully footnoted, with subject and entry index. A favorite of politicians, teachers, students speech writers, radio hosts, etc. No American library is complete without it! The New England Primer was the first textbook ever printed in America and was used to teach reading and Bible lessons in our schools until the twentieth century. In fact, many of the Founding Fathers and their children learned to read from The New England Primer. This pocket-size edition is an historical reprint of the 1777 version used in many schools during the Founding Era. A great resource for homeschoolers or for use in any classroom. Colonial George Washington’s perilous experiences in the French and Indian War are chronicled in this riveting account of God’s providence and protection. The only officer on horseback to avoid being shot down, young Washington openly attributed his miraculous escape from harm to the intervention of a sovereign God. A story once founded in student textbooks, this awe-inspiring adventure is recaptured in a modern edition complete with maps and illustrations. John Jay, America’s first Chief Justice, advised the diligent review and study of America’s Constitution so that citizens would be equipped with knowledge of their personal rights against abuse. Our handy, pocket-sized edition makes available the full texts of the Declaration of Independence, the Constitution, and George Washington’s Farewell Address. “In his new edition of The Jefferson Lies, David Barton decisively—with his characteristic impeccable scholarship and comprehensive historical research—makes his case for re-discovering the “real Jefferson” by exposing significant myths put forth by liberal scholars about our third President. . . . David Barton righty identifies and destroys each of these myths about our beloved President in just one chapter alone! This collection illuminates stirring orations offered by noted figures such as John Quincy Adams, Daniel Webster, and Noah Webster. It also unearths treasures by George Bancroft, Elias Boudinot, and other valuable contributors to our national heritage. Our annotated edition provides extensive historical tidbits and commentary. The United States became a unique, prosperous, and admired nation because of its faith in God and the willingness of the people to abide by God’s standards and principles. Over time, however, the people’s urge to glorify self rather than God has seriously eroded the strength and potential of the nation. In the midst of the titanic struggle of the American War Between the States, a spiritual war for the souls of men was waged with equal vigor. From 1861 to 1865, many thousands of soldiers professed Christ as their Savior and Lord, and many more were renewed in their commitment to serve God in camp and battlefield. Herein are recorded stories of the heroism of chaplains who stood in the line of battle to minister to the fallen and to work at the bedside of fatally ill comrades. Some of the army pastors were themselves counted among the slain. It tells of worship services in camps attended by ten, a hundred, or a thousand men gathered to hear the Word of God expounded. Here, too, we read of the Christian generals who supported the many facets of Gospel work: Robert E. Lee, Stonewall Jackson, Jeb Stuart, and others. Hardback. 624 pgs. By J. William Jones. In this fresh, exhilarating take on the story of redemption, Captain McDougall retells the life of Jesus, and the mission of his followers, as analogous to a special operations incursion behind enemy lines. “For too long, our churches have portrayed Jesus as a Wimp who is far too gentle to confront evil and much too tolerant to correct injustice,” declares McDougall. “Men are not inclined to follow this Sunday School Jesus. But there is an alternative: to restore the long-lost concept of Christus Victor – Christ the Conqueror.” Combat-seasoned and seminary trained, McDougall weaves stories from the front with biblical teaching as he reframes the gospel in terms that action-oriented readers will be drawn to, learn from and be highly motivated to follow in their daily lives. From Genesis to Revelation, Matthew Henry successfully combines practical application, devotional insight, and scholarship on the entire Bible. Henry has profound insights on the content, message and nature of God’s divine revelation. Perfect for all readers of the Bible who want a comprehensive commentary. This is not a Workbook edition. The Experiencing God ministry is even more vibrant today than when it began. As it continues to rise, and the world continues to change, the Experiencing God book has been revised and expanded with more than seventy percent of its material newly written. A modern classic that has sold millions of copies worldwide, Experiencing God is based on seven Scriptural realities that teach us how to develop a true relationship with the Creator. Reveals the secret to couples meeting each other’s deepest needs–without love she reacts without respect, and without respect he reacts without love, and a painful, negative cycle begins. A New York Times bestseller people can believe in—by “a pioneer of the new urban Christians” (Christianity Today) and the “C.S. Lewis for the 21st century” (Newsweek). Drawing on previously unpublished eyewitness accounts, prizewinning historian Donald L. Miller has written what critics are calling one of the most powerful accounts of warfare ever published. Here are the horror and heroism of World War II in the words of the men who fought it, the journalists who covered it, and the civilians who were caught in its fury. Miller gives us an up-close, deeply personal view of a war that was more savagely fought—and whose outcome was in greater doubt—than readers might imagine. This is the war that Americans at the home front would have read about had they had access to the previously censored testimony of the soldiers on which Miller builds his gripping narrative. Miller covers the entire war—on land, at sea, and in the air—and provides new coverage of the brutal island fighting in the Pacific, the bomber war over Europe, the liberation of the death camps, and the contributions of African Americans and other minorities. He concludes with a suspenseful, never-before-told story of the atomic bombing of Nagasaki, based on interviews with the men who flew the mission that ended the war.